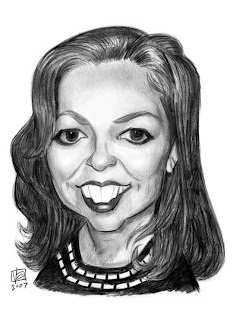 A quick sketch of Adriana Isabel Juárez Puglisi , who participates along with the rest of us caricaturistas on the Drawing Board Forum . 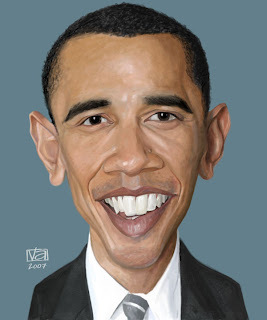 ...put down the wacom and called it a day! 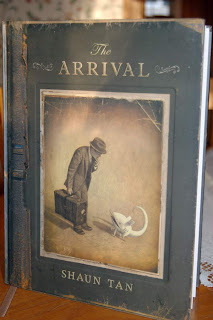 I just received my copy of Shaun Tan's book "The Arrival". 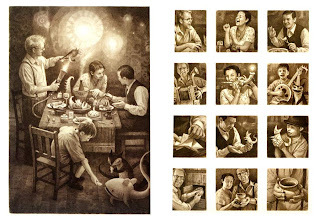 This passage comes from his site and describes the book: "The Arrival is a migrant story told as a series of wordless images that might seem to come from a long forgotten time. A man leaves his wife and child in an impoverished town, seeking better prospects in an unknown country on the other side of a vast ocean. He eventually finds himself in a bewildering city of foreign customs, peculiar animals, curious floating objects and indecipherable languages. With nothing more than a suitcase and a handful of currency, the immigrant must find a place to live, food to eat and some kind of gainful employment. 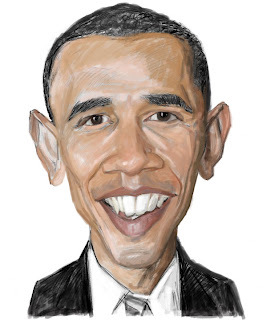 He is helped along the way by sympathetic strangers, each carrying their own unspoken history: stories of struggle and survival in a world of incomprehensible violence, upheaval and hope." 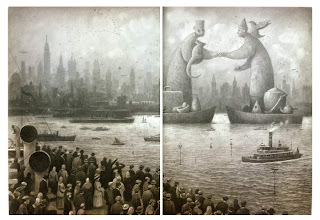 The illustrations are absolutely brilliant and remind me of the work of Chris Van Allsburg. You can pick up a copy at Amazon UK! Worked a little more on this piece tonight...hope to finish it by next week. 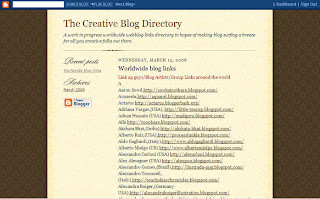 You'll find an extensive list of inspirational blogs on the Creative Blog Directory...be prepared to hang out awhile!!! Korean Animation with matrix effects...very well done!!! The original post can be found at MNcast.com . 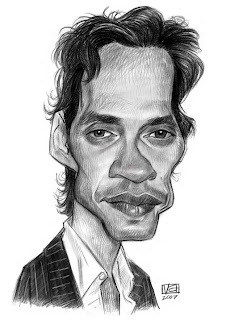 This is shot at Mr. J-Lo for the Drawing Board Jam. Started blocking in some color...wasn't really happy with the original sketch...maybe the paint wiill bring me a better conclusion to the piece.